Inbound Call Centre & Answering Service. large and small and everything in between for over 60 years. Customized programs built for your business needs. Customer service is critical to your business. Missing phone calls, having after hours calls going to an answering machine, or having overflow calls receiving a busy signal can result in missed sales leads. The voice on the other end of the phone line is the first impression your customers or potential clients will get of your business. Shouldn’t that impression be as positive as possible? 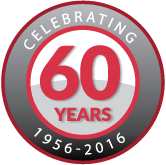 For over 60 years, Extend Communications has been providing customized solutions to help businesses like yours grow. 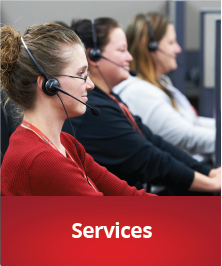 Our leading edge Ontario call centre technology provides inbound call centre and telephone answering services as well as emergency dispatch contracts to various corporate clients across Ontario and throughout other regions of Canada and the USA. We know the importance of top notch customer service, that’s why we treat your clients like our own. We are staffed 24 hours a day, 365 days a year! When you are out of the office, at a meeting, gone for the weekend, or sick, we continue to direct your calls where they need to go; whether that means dispatching a service technician for an urgent call, providing basic information about your company or simply taking a message and directing to the appropriate staff. We can also handle your work overflow during the day so you don’t miss a call or potential sale. Our call centre agents are trained and experienced to be the communications personnel for your business. You set the parameters of the customer experience you want to achieve and we’ll deliver the results, plus we’ll free up your time, allowing you to focus on other important business matters. See how we’ve worked with other clients. 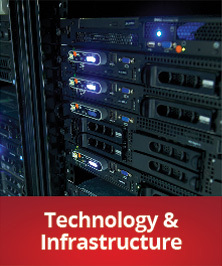 Trusted services for over 60 years. At Extend Communications, we stand for integrity, innovation and initiative. Our experience and expertise extend to a variety of industries such as real estate, small businesses, service companies, corporations and governments. We don’t have a one size fits all strategy. 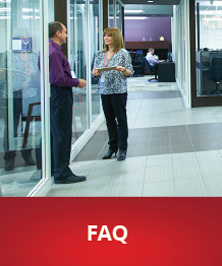 We will customize our services to fit your business needs with our cutting edge software and hardware. You can always count on us, even during a disaster. We’re prepared to operate with our contingency plan and spare equipment so we can deliver 24/7. When you experience an emergency, we have a tailored plan to help your company handle the situation. Maximize your business success with our innovative services. Contact us today or visit our Ontario office to find the right plan for your business. We will integrate all methods of communication that best fit your needs. 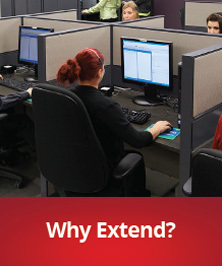 Let Extend Communications find the right call answering solution for your business. 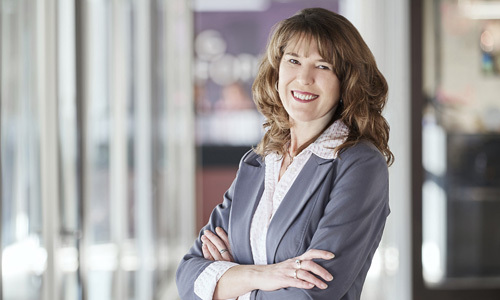 Contact our Director of Business Development, Tammie Kovacs by phone, email or text. Tammie welcomes the opportunity to discuss your business’ specific challenges and requirements and find the right solution for you.